Heather, JD and Shannon on a Socialbrite video chat using Google Hangout last night. Target audience: Nonprofits, cause organizations, foundations, NGOs, social enterprises, businesses, project managers, educators, journalists, general public. 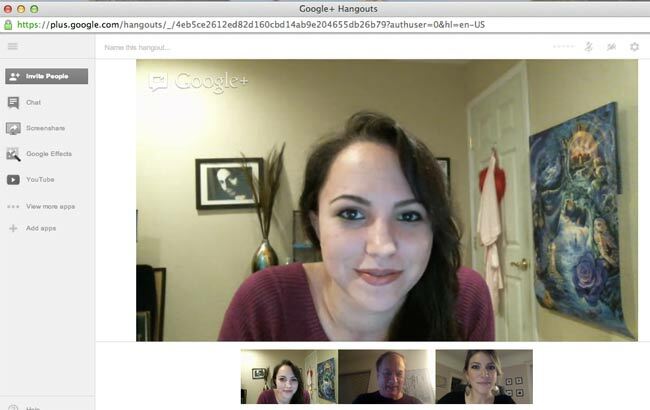 Google Hangout is a super easy way to hold video conferences with multiple individuals or groups of people. In addition to being easy, it is accessible to all of your employees, constituents and volunteers as anyone with a Google account can take part in a Hangout without having to download any additional software or sign up for anything new.